TDIndustries offers companies in such industries as semiconductor, pharmaceutical, university research, biotech, food & beverage, solar and gas & chemical an array of innovative process manufacturing, construction and facilities solutions. Throughout the years, TD has partnered with our customers to solve complicated time-to-market issues and manufacture products more efficiently and more affordably. Furthermore, we respect the sensitive nature of your business and have experience working around secure, proprietary information. After safety and well-being of all, your company’s success is our number one goal. TD will never compromise on safety, and we treat your sites as if they were our own offices. Not only do Partners participate in TD’s award-winning safety training, but those that work in the Process Solutions also undergo “Reliability Training.” Partners must score 100% on their training, which is done annually to keep up with technology and the needs of our customers. Reliability Training helps us Partners work safely near hazardous materials and complex equipment, while minimizing any disruptions to our customers’ operations. Our flexible delivery methods give our customer the full suite of options for manufacturing equipment installations (MEIs), infrastructure systems (including turnkey renovations and build-outs) and architectural solutions. 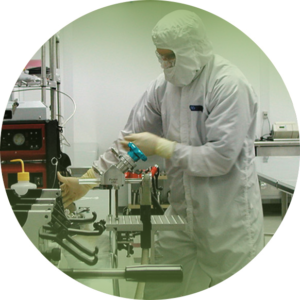 From design and construction to budgeting and maintenance, we excel in supporting mission critical, cleanroom and process environments. We have proudly completed more than $400 million in process solutions work in world-class facilities for our clients. To support the efforts of the Process Solutions team’s design, construction and maintenance of a wide range of high purity and process piping installations, we have a dedicated manufacturing shop with Class-1000 cleanroom capabilities. This 8,000 sf space is home to the fabrication of stainless steel, plastic, copper and carbon steel assemblies. Our proprietary process management systems can help your business better calculate manpower and resource needs to deliver excellence to your market. Want manufacturing process and management solutions that can fulfill your unique needs? Do what companies like Samsung, Texas Instruments and Alcon Laboratories have done for years––get our dedicated team of manufacturing process professionals working for you.